"Education is the great engine of personal development. It is through education that the daughter of a peasant can become a doctor, that the son of a mineworker can become the head of the mine, that a child of farmworkers can become the president of a great nation." English Language Learners and their families come from all over the globe and bring their cultures with them. Even for ELLs who were born in the US and have always lived here, if their parents and/or other relatives were raised in another country, their children will absorb those customs and traditions, including ideas about education. Schooling in other countries can be very different from K – 12 education in the U.S. and ELLs may not do things the way teachers expect because of those differences. But when teachers know a little about how schools in other countries function, they will understand their ELLs better. To that end, I have invited TpT teacher-authors who are not based in the U.S. to write guest posts about K – 12 education in their countries. In South Africa, the school year starts in January and ends at the beginning of December. Students start school at age 6 (grade 0) but they can also attend a year earlier (grade 00). Primary school is up to grade 7. Grade 8 - 12 is High School. I teach grades 8 – 12; that is, from ages 13/14 to 18. The students in South African schools wear a formal uniform. Civvie days (days on which they can were other clothes) are always a hit and often used for fundraising! Sport is a big part of school life. Students are actively involved in rugby, cricket, soccer, netball, athletics, etc. Most students will attend Public schools. Parents do have to pay school fees and every school can establish their own fee structure. Government subsidies are available for those who cannot afford to pay the fees. Many parents are now opting for Private schools, which are more expensive. Students in Public school follow the CAPS curriculum and write their National Senior Certificate at the end of grade 12. CAPS stands for Curriculum Assessment Policy Statements. It is the curriculum that all government schools must follow. The curriculum focus in Primary school is on Maths, Languages and Science. In grades 8 & 9 they have a lot of different subjects, e.g. Natural Sciences, Economic & Business Studies, Human & Social Sciences (History & Geography), Technology, etc. From grade 10 they must take two languages, maths / maths lit, life orientation plus three other subjects. The Sciences are broken up into Life Science and Physical Science (Chemistry & Physics). In High School all students must take two languages --one home language and one additional language. They must also take Mathematics or Mathematical Literacy up to grade 12. There is a huge amount of different subjects available and it all depends on what each school offers. Private schools offer various curriculums, e.g. CAPS, IEB (Independent exam board), CIE (Cambridge International Examinations), etc. I work in a Private school that follows the CIE curriculum. Students do take standardized tests. The ANAs (annual national assessments) are written by grade 1 - 9 students. The foundation phase students (Gr 1-3) write literacy and numeracy papers. Gr 4 - 9 write Mathematics and their Home Language ANAs. The NCS, or National Senior Certificate, is the certificate that students receive once they graduate from High School. Students have to write (and pass) the NCS exam at the end of Grade 12. Everyone has to get a NCS pass at the end of grade 12. If they write CIE exams it will be converted to a certificate accepted by universities (equivalent to a NCS). If they write IEB or CAPS, they will receive a NCS. A large percentage of my grade 10 and 11 classes are ESL students. 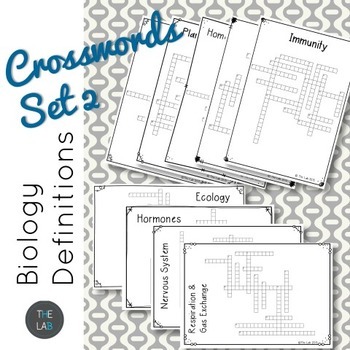 I use the resources in this product, my Biology Crossword BUNDLE Set 2, for review work before exams. It helps with definitions, spelling, etc. They love these! We have 11 official languages in South Africa. Most students in South Africa are bilingual. At my school, we have a lot of students who speak Afrikaans at home. They are coping well in school since they are exposed to a lot of English on TV, in the media, through music, etc. Most can speak and understand English; however, their written English might not be up to standard. In my school, English is the language of instruction and is taught as a first language. We do offer English as a second language at schools. All students must take two languages for their NCS exams - their home language (English, Afrikaans, isiXhosa, etc.) as well as a First Additional Language. Many students choose to write exams for two Home Languages (1st language). I grew up in an Afrikaans-speaking home and took Afrikaans and English as Home Languages at school. To teach High School, you need a degree in the area that you want to teach (Science, Languages, etc.) as well as a Post Graduate Teaching Certificate (PGCE). Primary school teachers usually complete their B.Ed degree, which is a four-year degree. No special training is required to be an English as a second language teacher, except for a degree in languages and a PGCE. They are just known as the English teachers! In fact, in many schools, you will find that the English teachers will teach both. 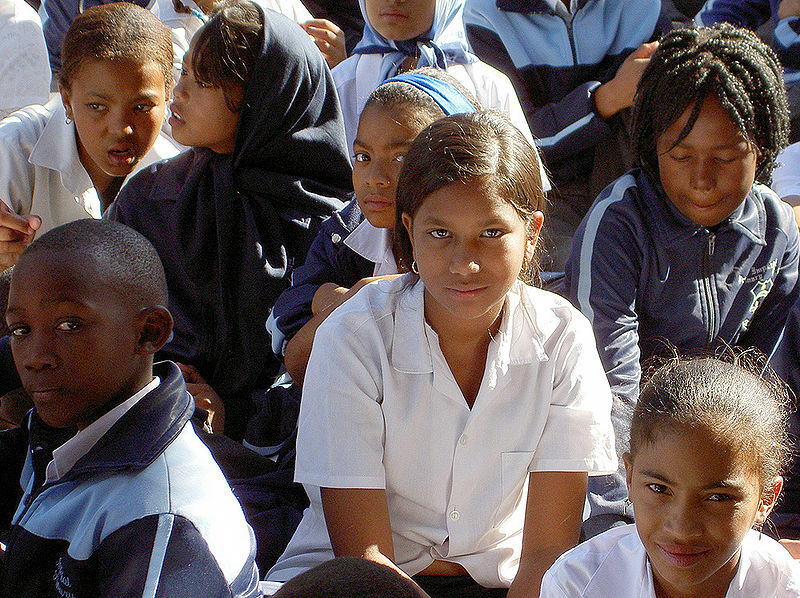 Click HERE to find more information about education in South Africa here. Liezel Pienaar teaches Biology, Chemistry and Physics courses in the Western Cape province of South Africa. 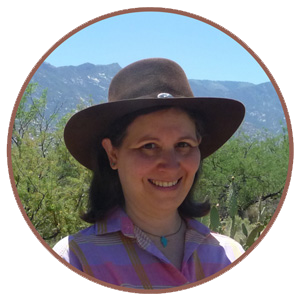 Her TpT store is The Lab and she has resources for all three subjects in her store. You can also find her on Facebook. Thank you very much, Liezel, for sharing your knowledge of education in South Africa with us! If you're ever interested in having me write about my experience teaching at a Hutterite colony here in the US, let me know. I realize that's not a foreign country, but since they are German people who live quite differently than mainstream US citizens it might be an interesting article. And thank you for linking up with my Teaching Tuesday blog post. I look forward to seeing you back each week so I can continue to read about teaching in other areas! I'm off to share this across my networks now. Thank you for commenting and for sharing this blog post! Teaching in a Hutterite colony sounds really interesting and I'd love to learn more. I'll be in touch. :-) And--thank you for hosting your blog linkup! 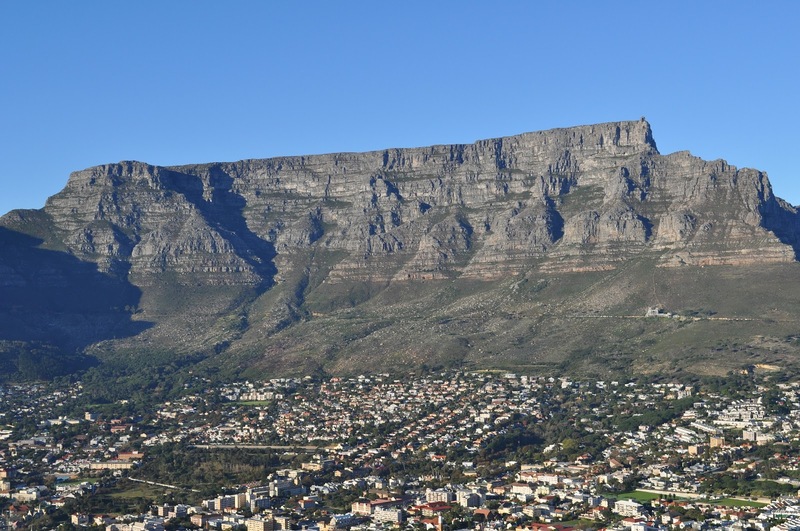 I really enjoyed reading about teaching in South Africa! Thank you! I'm glad you enjoyed it! I learned a lot myself!